Even though Cyber Monday starts in a day and a half, Amazon has decided to start off early and give all of you a chance to purchase some great gadgets at discounted prices. Amazon’s limited time deals start today and will continue until next Sunday. The retailer will be offering new deals every ten minutes, and several deals are very time sensitive in nature, so you’ll need to be on your toes if you want to make the best out of this year’s Cyber Monday offerings from Amazon. Amazon’s Cyber Monday Deals Start Today – Take A Look At Some Of The Offerings Below. Since Amazon’s offerings cover a large variety of gadgets, we’ve scanned their offerings and made a list of some gadgets and devices that might be of interest. 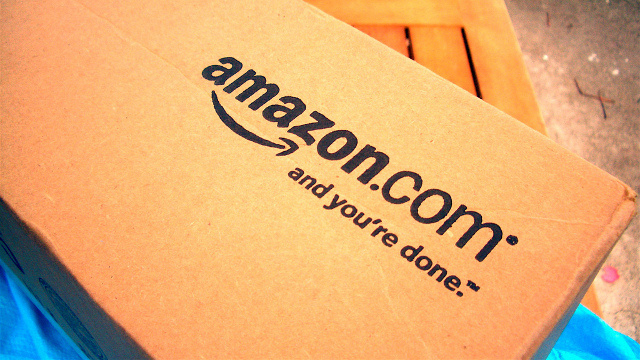 To take a look at complete Cyber Monday offerings from Amazon, head over to its official site. Factory unlocked Moto X for $329. Save $290. LG G Watch for $149. Save $80. 10.1 inch Samsung Galaxy Tab 4 for $263. 10.1 inch Samsung Galaxy Tab 4 For $249. 8 inch Samsung Galaxy Tab 4 for $199. Google Nexus 7 for $179. Save $49. Samsung’s 60 Inch 1080p 3D LED TV for $1297. Save $902. Samsung’s 55 inch 1080 3D LED TV for $997. Save $902. Samsung’s 48 inch 1080p Smart LED TV for $597. Save $402. Samsung’s 48 inch 60Hz 1080p Smart LED TV for $497. Save $332. Samsung’s HT-H6500 Home Theater system for $397. LG BH5140S Blu-Ray Home Theater System with Smart TV for $169. Samsung HT-H4500 5.1 Channel 500 Watt 3D Blu-Ray home theater system for $157. ACER Aspire S7-392-9890 13 inch Touch Screen Ultra Book with 1.8 GHz Intel Core i7 on board for $999. Save $600. HP Pavilion Detachable laptop for $229. These are only a handful of the total Cyber Monday deals that Amazon has in store for you. So head over there to check out complete Cyber Monday offerings. Cheers!